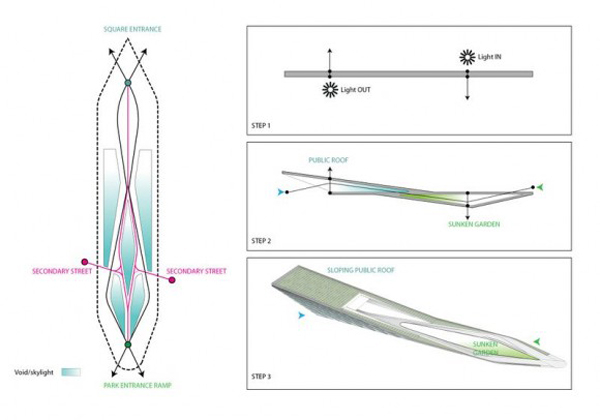 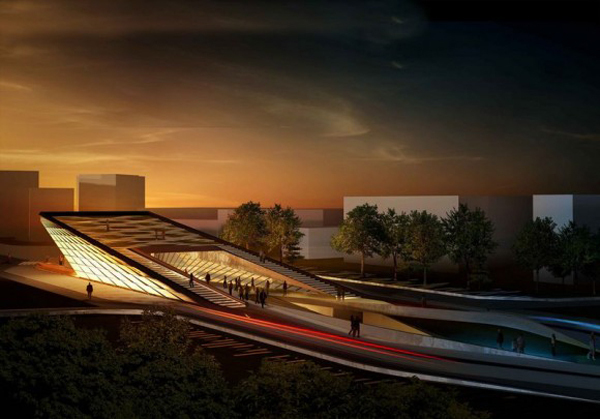 In the international competition for the new Sofia Metro Line extension and Metro station, Amsterdam-based ShaGa Studio, in collaboration with Margherita Del Grosso Architects, was shortlisted out of over 130 entries. 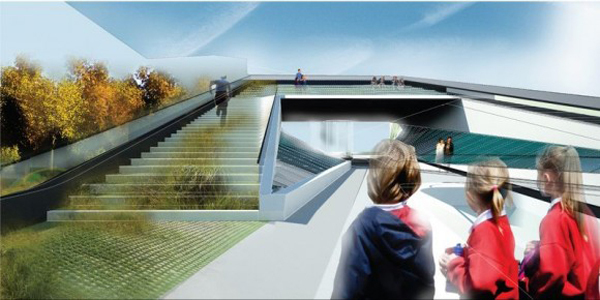 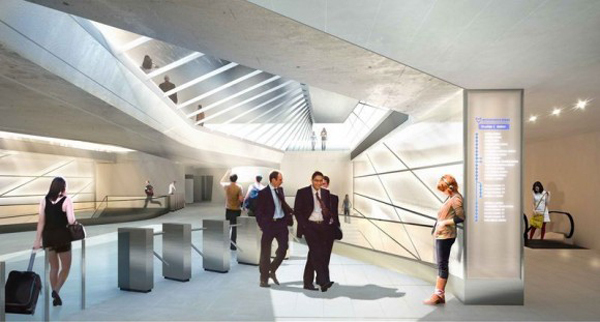 The Lantern Metro station showcases ShaGa’s inclination towards combining architecture with infrastructure, ecology with computation, maintaining the idea of sustainability as backbone of the design process. 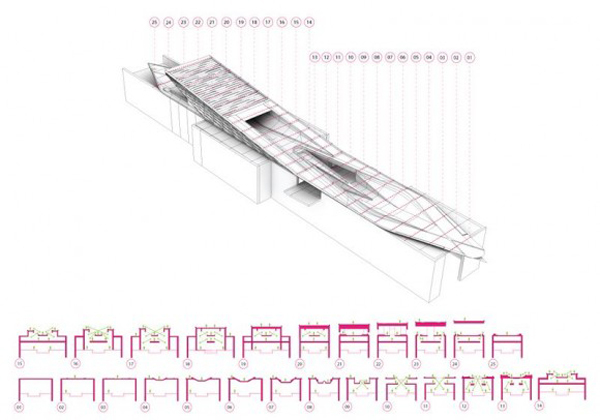 The project ultimately received an honorable mention. 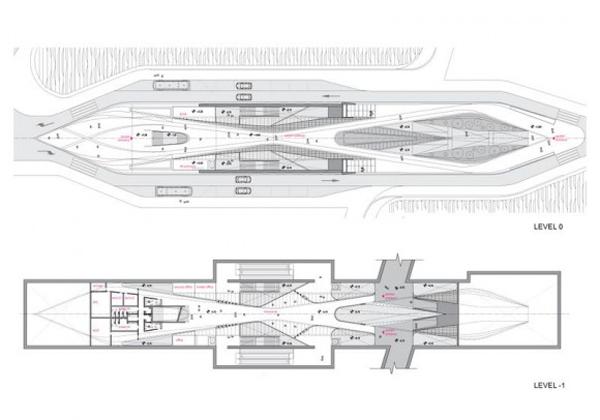 The project develops a new metro station typology through a time based sustainable approach and with special attention to day/night lighting conditions under and over ground. 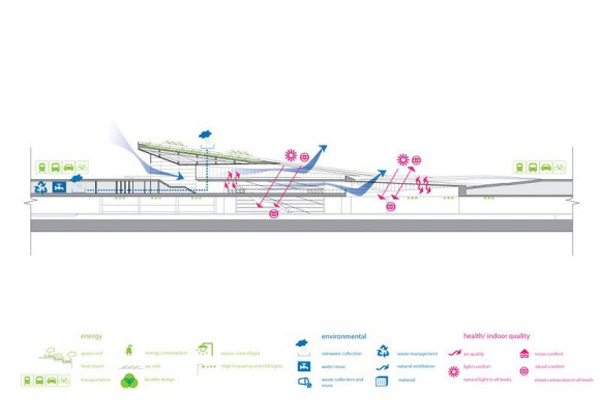 Nested along the future extension of Metro line 1 and at the local crossroad of Druhzba I and II residential areas, The Lantern transportation hub weaves together the district infrastructure needs with a series of unique local open public spaces .Through an emphasis on the natural light condition below ground and the integration of lighting features (back-lit LED ‘mood walls’) in the station interior and facade, the design enhances visitors orientation, visual connections and an optimized orchestration of public flows, seamlessly connecting the immediate urban context to the station’s concourse level and further to the train platforms.